In Genesis, the book of beginnings, we discover the foundation for our understanding of who God is, who we are as human beings, and the world in which we live — both what is good about it as well as for what has gone wrong. It is thus not surprising either that we find ourselves coming back to Genesis 1-3 week-upon-week and generation-upon-generation, or that it has been among the most divisive passages of the Bible. 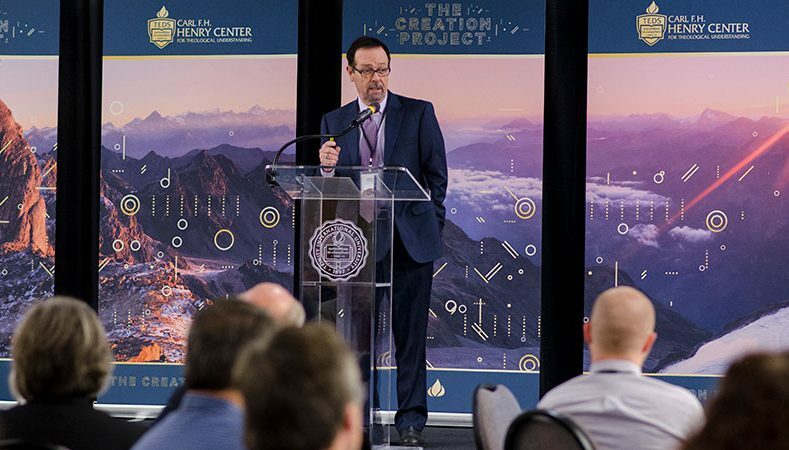 In this opening address, Greg Waybright narrates the story of his own church, representative of so many, and how one pastor has learned to appreciate the complex relationship between science and theology. Providing pastoral guidance for how we the church must respond, Waybright will suggest several theological priorities and attitudes of heart and mind that are vital for a God-honoring church-edifying response in the midst of these divisive times. Gregory Waybright (PhD, Marquette University) is Senior Pastor at Lake Avenue Church, where he has served since his twelve years of leadership as President of Trinity International University. He holds a master of divinity from Trinity Evangelical Divinity School, a master of arts in communication from Wheaton Graduate School, a bachelor of arts in biblical studies and philosophy from Wheaton College, and a diploma in pastoral studies from Moody Bible Institute. Dr. Waybright has studied and done research at Tyndale House and Cambridge University in England.